Australia staged a stirring comeback to break New Zealand’s hearts and win the men’s event today at the Victor Oceania Team Championships 2018 to qualify for the TOTAL BWF Thomas Cup. In the team finals, New Zealand were on track to clinch the qualifying spot with a 2-0 lead against Australia in the finals played in Hamilton. Abhinav Manota and Oscar Guo gave the hosts a 2-0 lead, winning their singles over Anthony Joe and Pit Seng Low respectively. And with Kevin Dennerly-Minturn/Oliver Leydon-Davis taking the first game against Robin Middleton/Ross Smith in their Men’s Doubles, New Zealand appeared headed for victory. However, the Aussies fought back to take the next two games and set the tie up for the visitors. 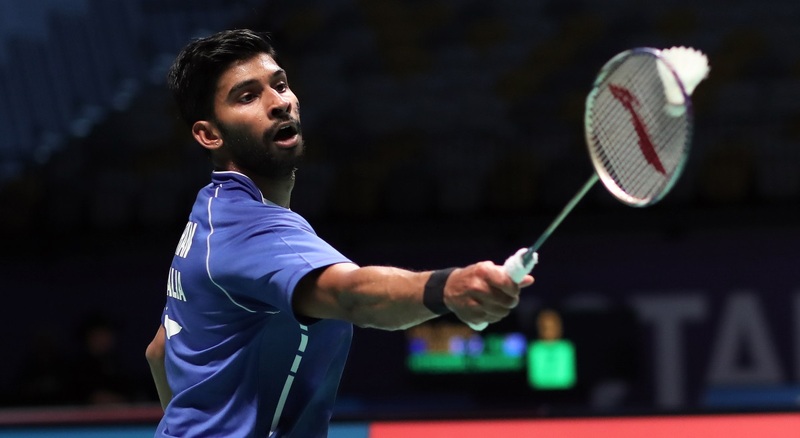 Matthew Chau/Sawan Serasinghe then made it 2-2 beating Abhinav Manota/Maika Phillips 21-16 21-13, before Ashwant Gobinathan (featured image) gave them a memorable victory with a close 21-18 22-20 result over Michael Fowke. Tahiti beat Fiji 4-1 for third place. Australia also clinched the women’s team spot for the Uber Cup when they beat New Zealand 3-2 earlier in the day, but the result was decided by the fourth match. Sally Fu gave New Zealand the lead in Women’s Singles, edging past Jennifer Tam 21-18 15-21 21-19. Joy Lai brought Australia back into the contest in the second singles, easing past Gaea Galvez 21-15 21-15, before Leanne Choo/Gronya Somerville made it 2-1 for Australia with a rout of Erena Calder-Hawkins/Susannah Leydon-Davis. Louisa Ma then gave Australia an unassailable 3-1 lead beating Justine Villegas, before Anona Pak/Danielle Tahuri reduced the margin for New Zealand beating Joy Lai/Setyana Mapasa 21-19 16-21 21-18. Fiji beat Tahiti 5-0 for third place. Australia, New Zealand, Fiji and Tahiti were the four teams in the contest in both the men’s and women’s team events.